This post is a guideline for getting a visa to Abkhazia in the Caucasus from the Inguri border with Georgia. 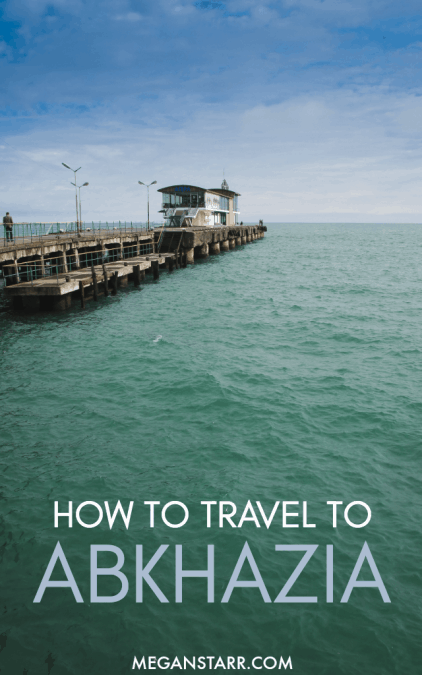 It also contains some specific travel information for border crossings, transportation to Sukhumi, and travel tips for Abkhazia. It was originally published in April 2013 and is current as of December 26, 2018. There are have been some rumors that Abkhazia is doing visa on arrivals for tourists now- this is not true as of March 2018 and has been confirmed with the Ministry of Foreign Affairs. There are a few other posts out there that used this post as a guideline for their travels and rewrote the exact same information (and took same photos) for their post. They are not up-to-date. Also, please read the comments section for more information and people’s individual experiences. 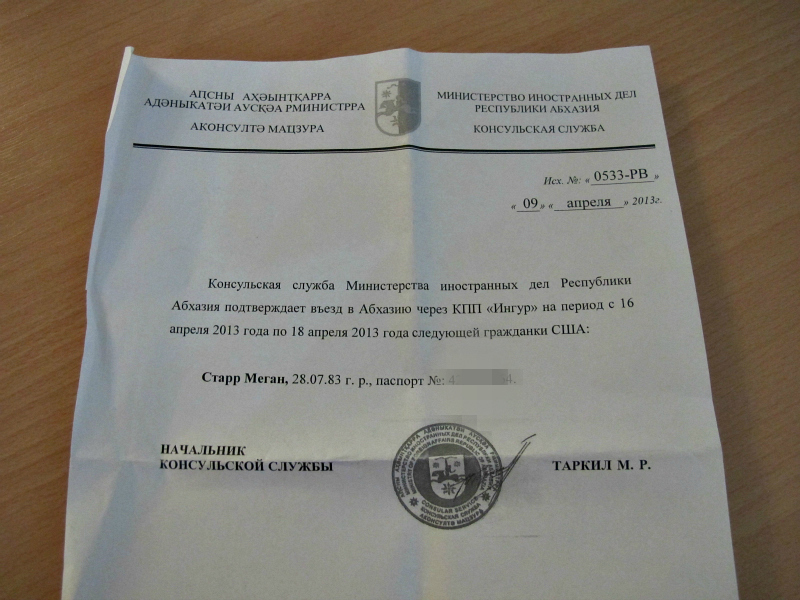 Good luck getting a visa to Abkhazia! You will enjoy your trip there! 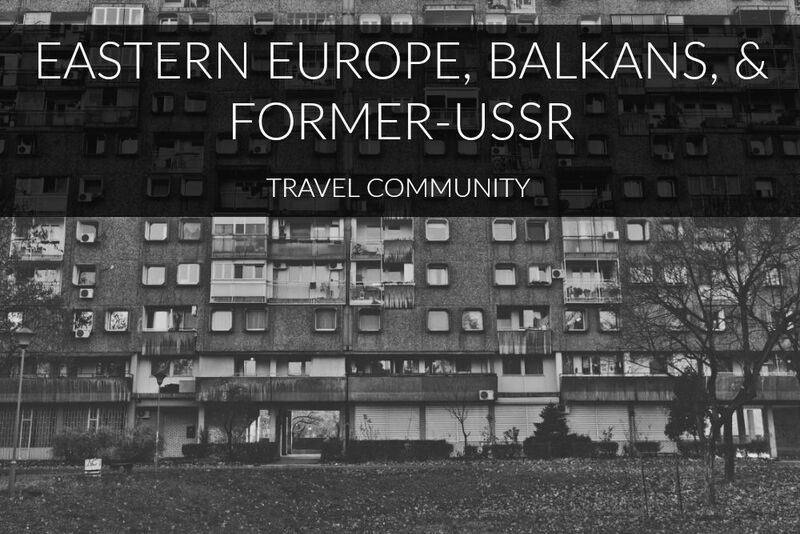 Lately, it has been taking me nearly six months to write about places I have recently traveled to! But, upon my return from Abkhazia just yesterday, I have received three emails asking how I got the visa and how I crossed the border. 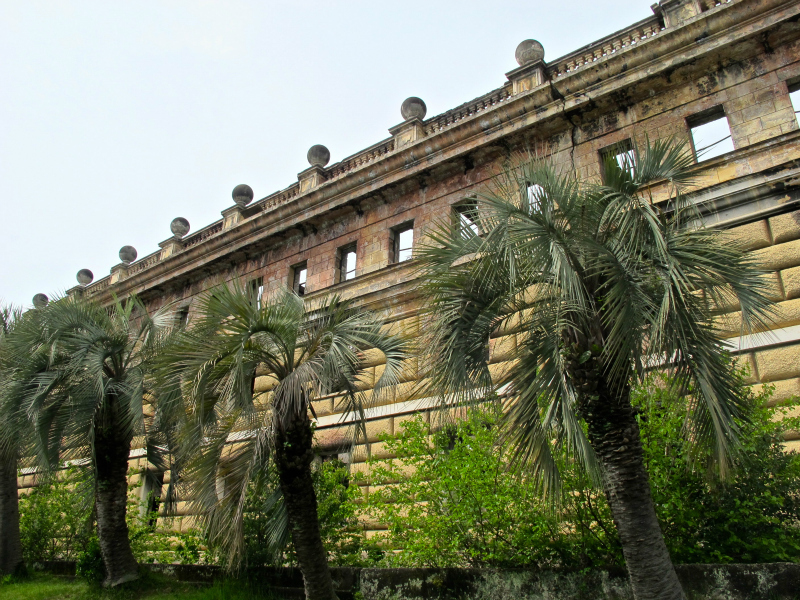 If you plan on traveling to Abkhazia, the first thing you must do is apply for the visa. You can do that at this website (application is in English). 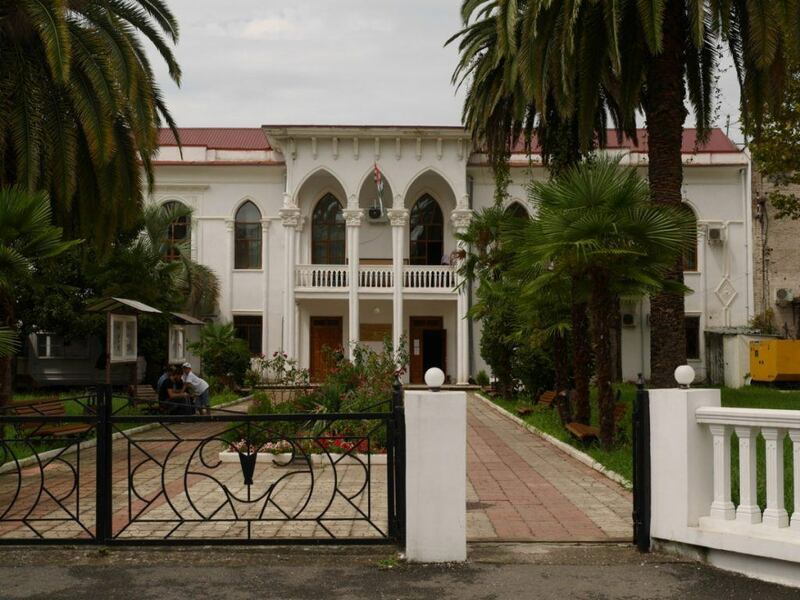 This is the website for the Ministry of Foreign Affairs for Abkhazia and they will handle all of the visa information. There are also people working there that speak English. On previous accounts I’ve read about, the person stated that they had to hound the Ministry to get their clearance letter and they then had issues at the border. I crossed the Inguri/Ingur border from Georgia. 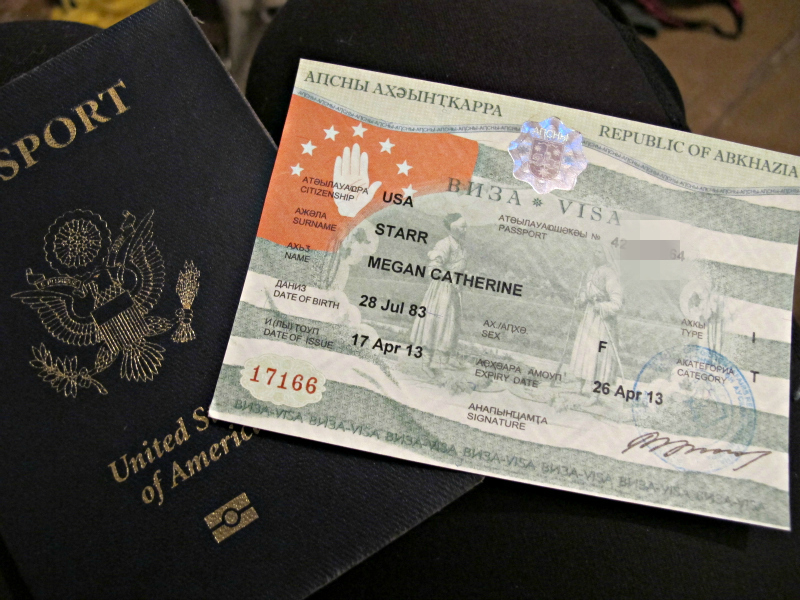 I can only write on behalf of my experience from that border, not the Russian one (which is apparently easier). I was coming from Tbilisi so I found it the most convenient to take the night train from Tbilisi to Zugdidi (Georgian city close to the border). This train departs Tbilisi at 2305 and arrives in Zugdidi at around 0705. Be sure to purchase tickets at the train station in Tbilisi a few days prior as this train fills up and fills up fast! I purchased mine the day before I was set to travel and they had no sleeper cabins available. I paid 14 Lari for a seat and it was actually pretty comfortable and I slept just fine. I think you may also be able to get there from places in Svaneti during certain times of the year. 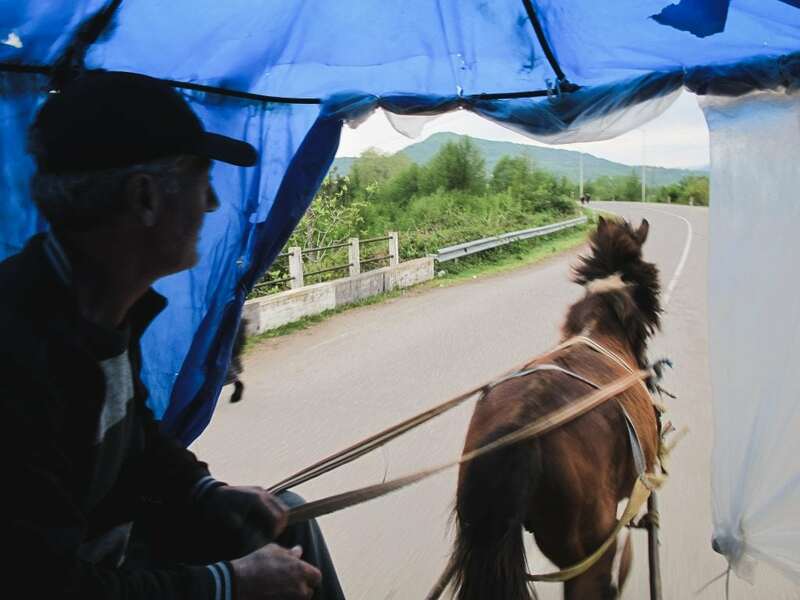 Once I arrived in Zugdidi, I was hounded by taxi drivers and was just eager to get to the border, so I had one of them drive me instead of finding a marshrutka. I have heard that there are marshrutkas that will take you straight to the border. For me to take a taxi, I paid 10 Lari (I suspect a marshrutka is around 3-5 Lari). After arriving at the border, I checked in with the Georgian police (pink building to the left of the street) and they took my passport and asked me numerous questions about why I wanted to travel to Abkhazia. DO NOT MENTION THAT IT IS ITS OWN COUNTRY (which most countries do not even recognize anyway). 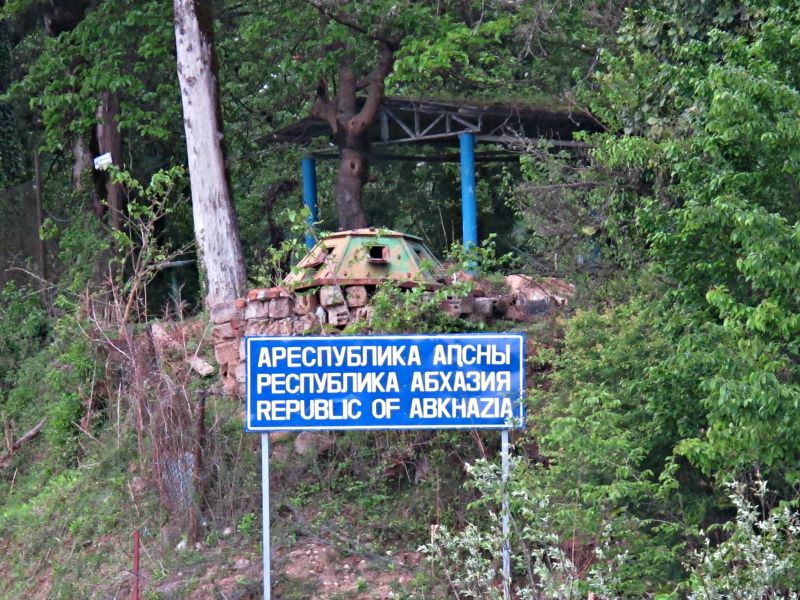 Just simply state, “If I’m going to see all of Georgia, I can’t leave out the Abkhazia region”. They spoke poor English but did speak Russian. They’ll also ask you for your profession. 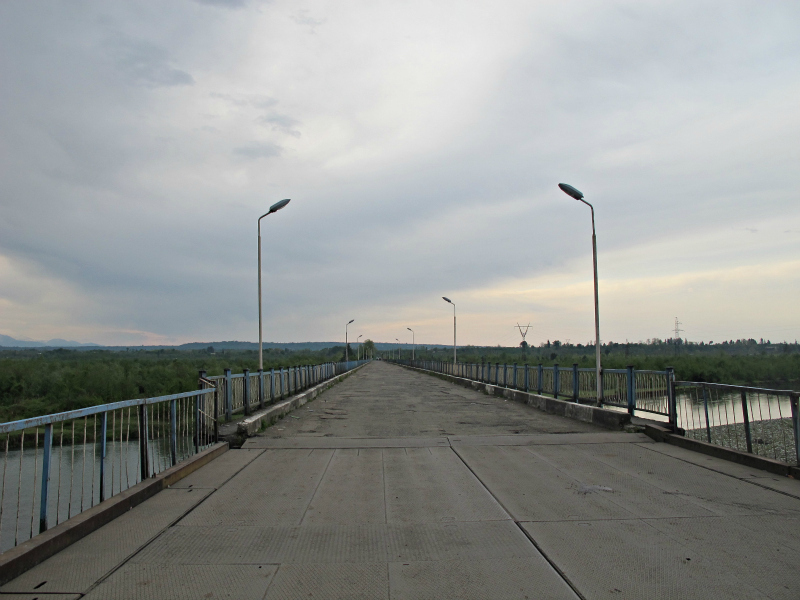 Once they take down your information, you are permitted to walk over the river, which more or less constitutes the Georgia-Abkhazia border. There are horse and buggy carriages that can take you over. I heard the walk was 1.5 miles, so I opted for this. HUGE MISTAKE. I walked on the way back and it was not that far at all. And the horse and buggy is so bumpy that you think you’re going to fall over the entire time. I paid 10 Lari for this (was only supposed to be 5 Lari, but the man didn’t have change and told me at the start and I just said, “Whatever” and took it anyway). 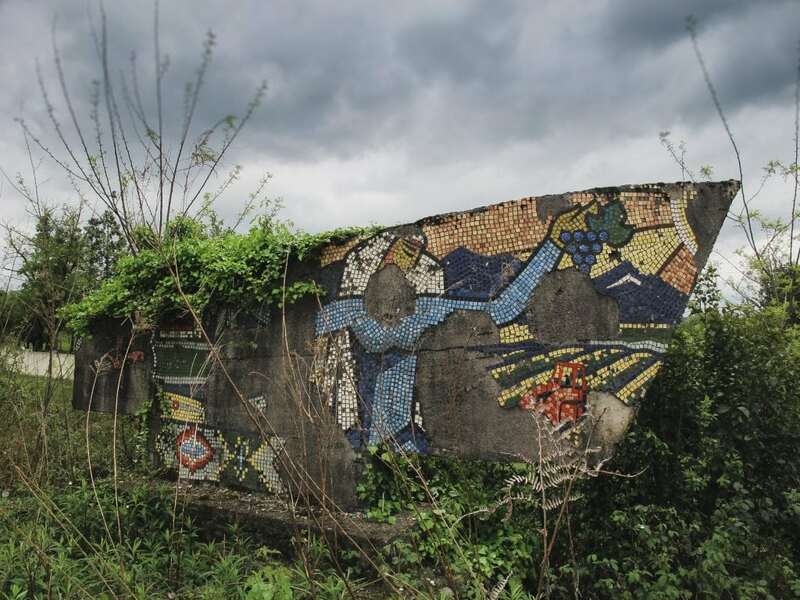 You will arrive on the other side of the river and will see a small metal shack on the right side with an Abkhazian (or maybe Russian?) official inside. Have your passport and clearance letter ready for him. He will check it and wave you through. But, the border on that side does not open until 8am. So you may have to wait 20 minutes like I did. After you are permitted to go through, you can just walk straight until you see another office on the right-hand side. You will be unable to see through the windows at who is sitting behind them, but you can just pass them over your passport and clearance letter. They’ll analyze you for a few moments, all while the rest of the guards are smoking and trying to use the few words of English they know with you (few words= you’re beautiful, smile, good luck, where you from?, I love Amereeeeca). Once you’re through, you continue to a baggage scanner. Send your stuff through and you’re good to go! Update August 2018: Many people are telling me that the border is taking quite a while to get through. Usually anywhere from 4-5 hours currently. Please be aware of this! I sat in the marshrutka for a good hour before it took off. Apparently, it needed to fill up from having one person to the two it had when we took off. We also made a stop in Gal to pick up more people. It took roughly two hours to get from Gal to Sukhum. 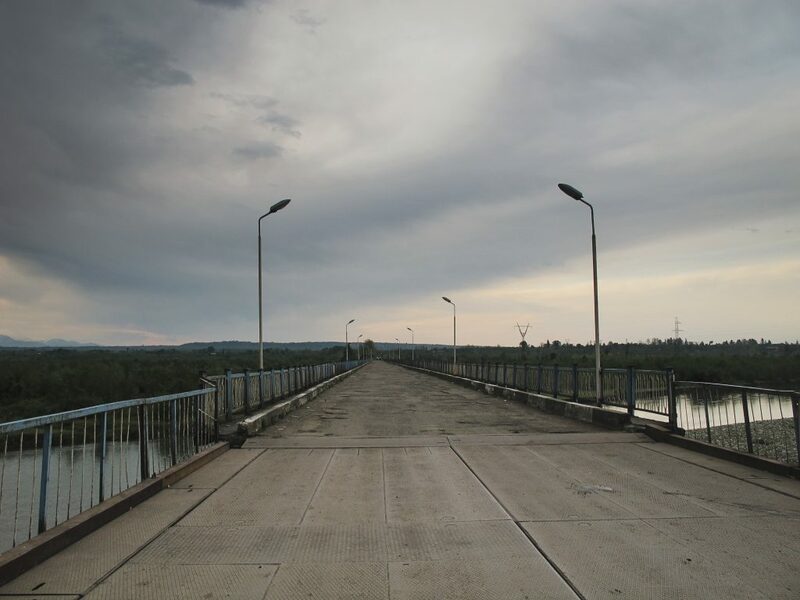 I read somewhere that someone said it took a total of 30 minutes from the border to Sukhum. Seriously…not true. Even if you rented a private taxi or your own vehicle. It is a pretty substantial distance. All in all, I paid 300 roubles for the marshrutka from the border to Sukhum. This was the same price the locals paid. (The price is the same if you take a marshrutka from the border to Gal and then pick up a marshrutka from there to Sukhum). Once in Sukhum, you have about two days to get to the Ministry of Foreign Affairs office and grab your visa (three days if you’re staying for more than three days). This office is located at 33 Sakharova, which is 6 block west and 1 block north of the MFA. They used to send you to a bank to pay, but now they have a credit card machine in this building that allows you to pay (even with card) for your visa. The price is 350 roubles and a reader said they do not take cash (this is not confirmed yet). This is current from July 2018. Thanks to Travels of a Bookpacker and another traveler who used this guide for the updates on new procedures. 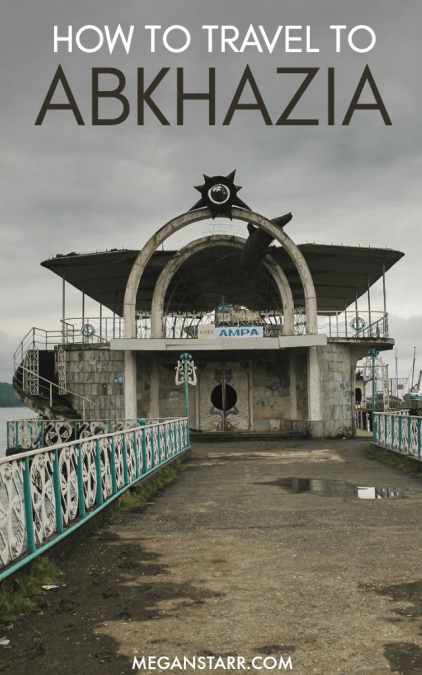 Simply take a taxi or walk to the abandoned Sukhum railway station (around 200 roubles from city center). I did this at around 1000. You can also take marshrutka #1 or bus #1 or #3 from the Sukhum Marketplace for 15 roubles and 5 roubles respectively (still good in 2017). 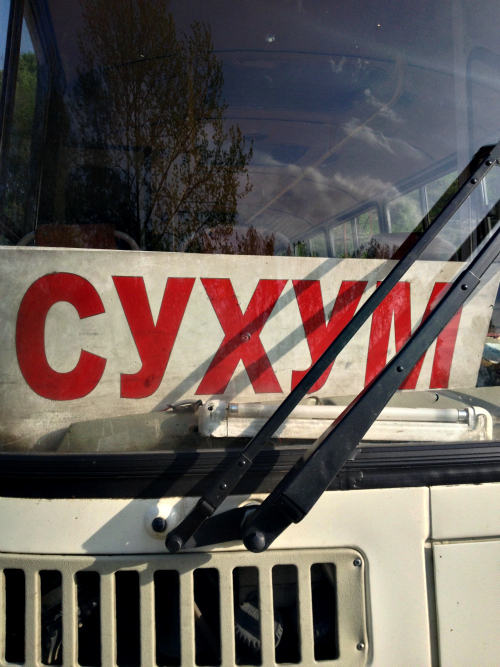 From there I found the bus to Gal and hopped on (200 roubles). From Gal, I was able to easily find a bus to the border (or Inguri). This costs 100 roubles. Very, very easy. 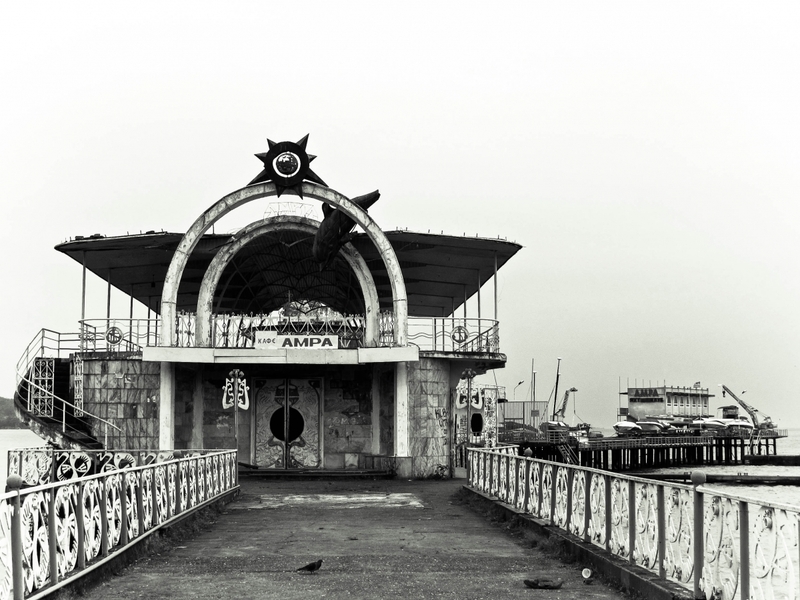 “Where did you go?” to which I answered, “Just Sukhumi”. “Why did you go there?” and I responded with, “If I am going to see Georgia, I want to see it in its entirety”. “Where is your visa?” and I said, “They took it at the border”. From this area, I was planning to take a marshrutka to Zugdidi and hope to find a marshrutka back to Tbilisi. Just my luck, there was a bus waiting to take people from the border directly to Tbilisi. Excellent! And it only costs 15 Lari. 1) Have Russian roubles with you prior to traveling to Abkhazia. That is the currency they use and I have heard the banks and ATMs do not take international cards. Also, try to break down the denominations to small ones. It will be very hard to find someone with change for a 5,000. 2) If you don’t speak Russian, bring a phrasebook with you. 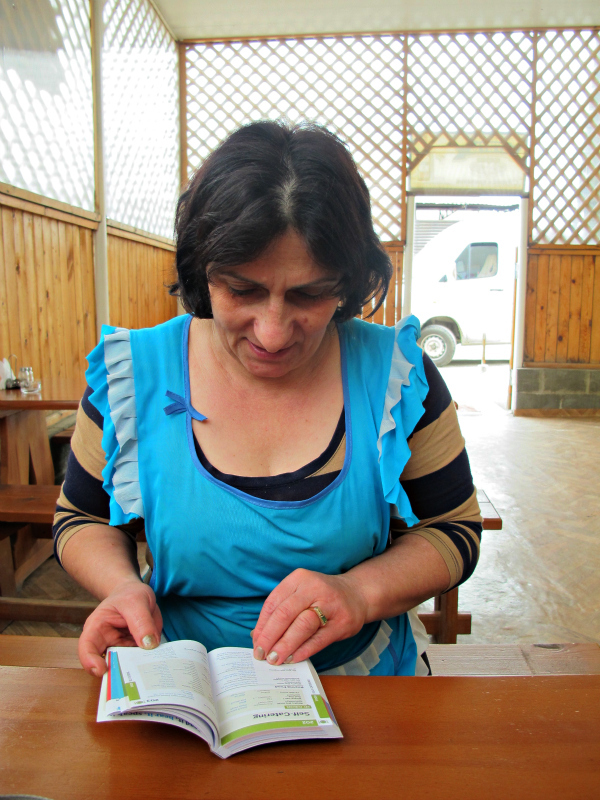 I never really needed mine, but locals wanted to communicate with me, so they would take the phrasebook and attempt making conversation with me. 3) Bring toilet paper or tissues. Most all toilets are squatters throughout the trip from Georgia to Abkhazia and of course, none will provide you toilet paper…or air worth breathing. 4) Bring lots of water and food for the day. 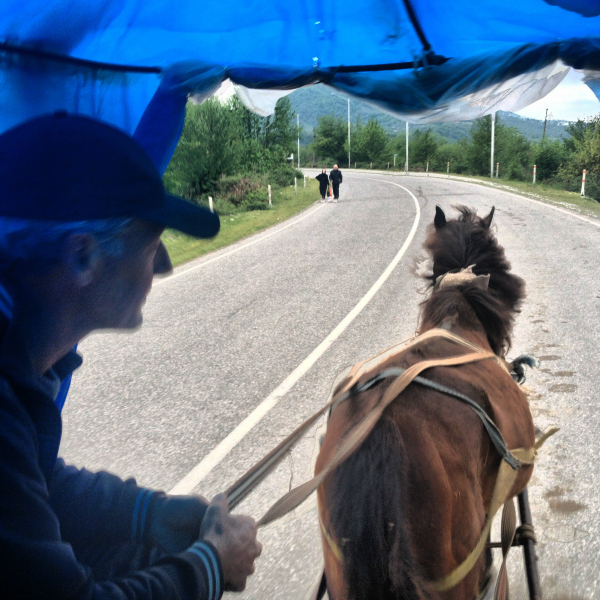 The process of me getting from Zugdidi to Sukhum took around 5 hours total. 5) Don’t be afraid to say what people want to hear. 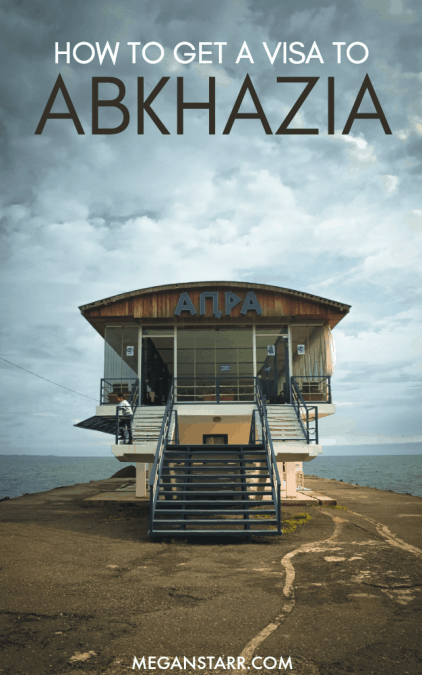 In Georgia, they don’t want to hear that you are wanting to visit Abkhazia because it’s a different country. 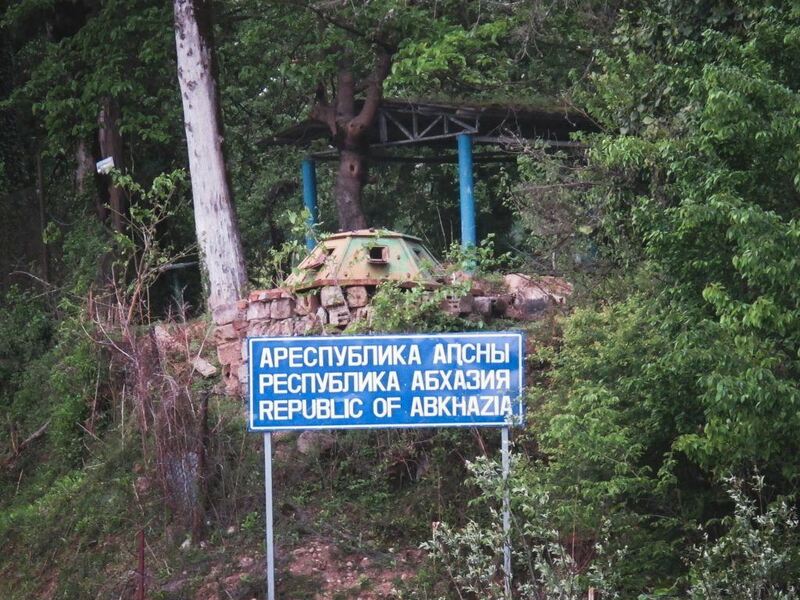 And in Abkhazia, they don’t want to hear you’re visiting Abkhazia to see another part of Georgia. Use common sense. In conclusion, despite how long this post is, the process was fairly easy. You just need to be super patient. And do not believe all the hype you may have found on other websites about how difficult the process was. It was easy, from my experience. Oh gosh.. I feel so ignorant.. 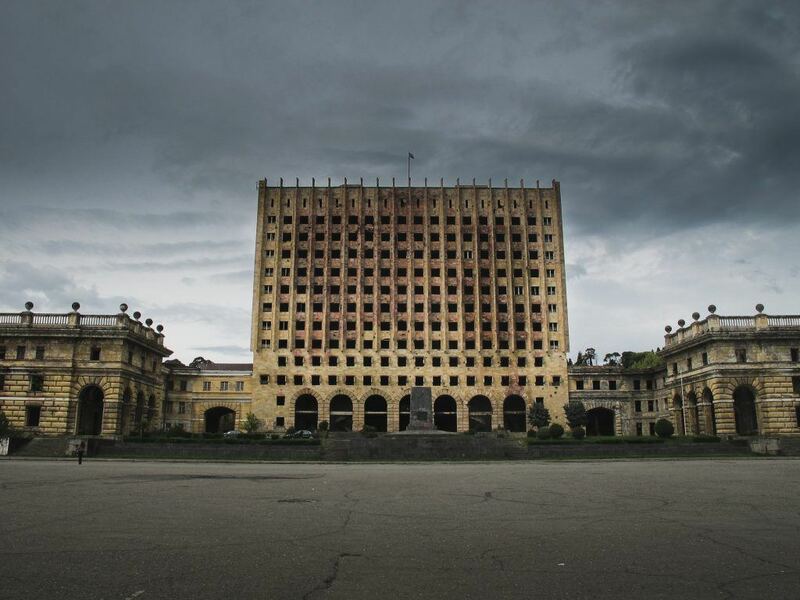 I had never heard of Abkhazia until I saw a photo you posted on Instagram. Maybe it’s time to get out of my little Latin-American bubble? Haha. I admire you Megan! Going by yourself to places so out of the ordinary it’s amazing! I’m with a few of the others here — I hadn’t heard of this place until you went! Good for you for making the trek. 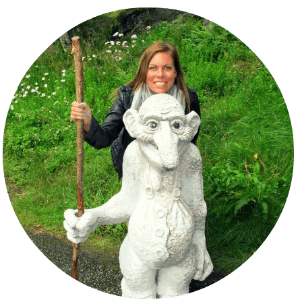 Holy crap you are a travel queen – how the heck did you figure this all out? It seems so casual yet complicated yet unorganized but organized. I don’t even know. 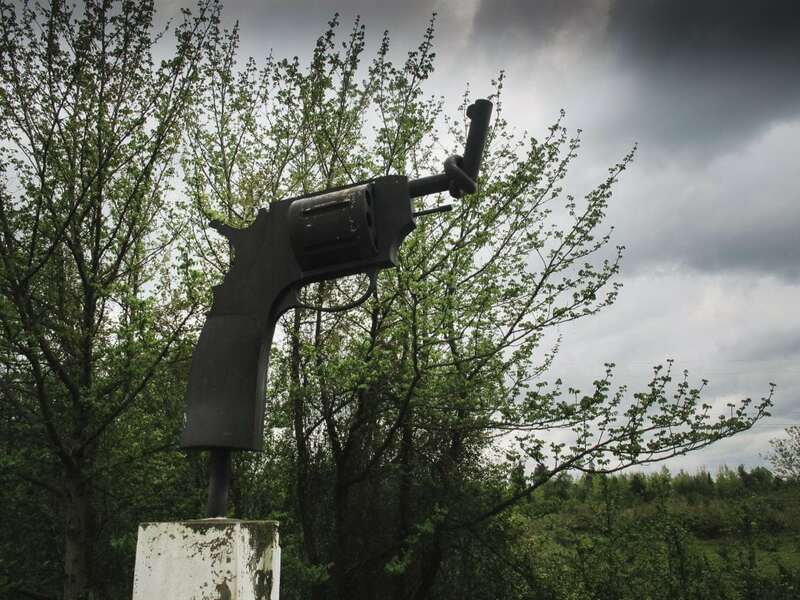 I’d also never hard of Abkhazia, so how ignorant am I? Can’t wait to hear more about your trip. It’s so refreshing to read about a place that not many people visit. I’m intrigued!